Have some nautical nonsense with these SpongeBob Squarepants Sun-Staches! 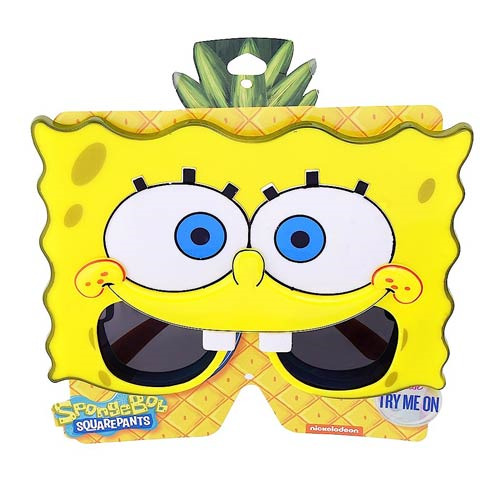 These awesome shades feature the friendly sponge ready for a day outside the Bikini Bottom. Have some F-U-N with these SpongeBob Squarepants Sun-Staches. One size fits most and all Sun-Staches provide 100% UV400 protection. Ages 14 and up.